You will still need to maintain your compulsory third party insurance (or 'greenslip' in NSW) as normal. This is separate and different to the fully comprehensive damage cover that we provide. Compulsory third party insurance (CTP), is a legal requirement for all registered cars, and must be obtained at the time of renewing your car's registration. Each State and Territory operates its own CTP scheme. Every Car Next Door Car Owner must have CTP insurance in place, and arrange this themselves. Your CTP Insurance covers injury to third parties if your car is involved in an accident. It does not cover damage to property, other cars or to your car, nor does it cover theft. In NSW, CTP is called a 'greenslip' and needs to be arranged separately to your registration and comprehensive insurance. In Victoria CTP is part of your registration, so you probably didn't even notice taking it out when you registered the car. It's renewed along with your registration each year. In Queensland your CTP insurance needs to be arranged separately to your registration and comprehensive insurance. 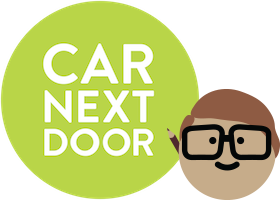 Your Car Next Door membership includes fully comprehensive damage, theft, hail and fire cover whenever a Borrower is driving your car. Instant Keys - If you join our $60/month Instant Keys plan, you can cancel any existing fully comprehensive or third party fire and theft insurance cover you had previously, as our comprehensive insurance covers your car at all times. This covers you for any damage you, your nominated additional drivers, or your Borrowers cause to someone else's car or property, as well as covering your car for accidental damage, malicious damage and theft. Key Handover - If you join our free Key Handover plan, your car is covered by our comprehensive insurance policy whenever it is with a Borrower in a booking, but you must keep your own insurance for all other times. Your car is not covered by Car Next Door’s insurance outside a Borrower’s booking. See: How does the insurance work when I am renting my car out?